Actually the 8th entry in the series, succinctly named God of War is due for a launch today. The game is something of a departure from the formula, featuring new mechanics such as armor-crafting and skill-point based character progression, more known from RPG games than Spectacle Fighter games. The changes are also made to combat, quick-time events aren’t necessarily now a means of defeating large opponents, instead your enemies have two separate meters, one of which is straight health, but depleting it quickly might be impossible, the other one, when depleted, will give a prompt to finish the opponent off. This means that the game becomes something of a Rock & Paper & Scissors where figuring out optimal strategy against specific enemies is advised, especially on higher difficulty levels. 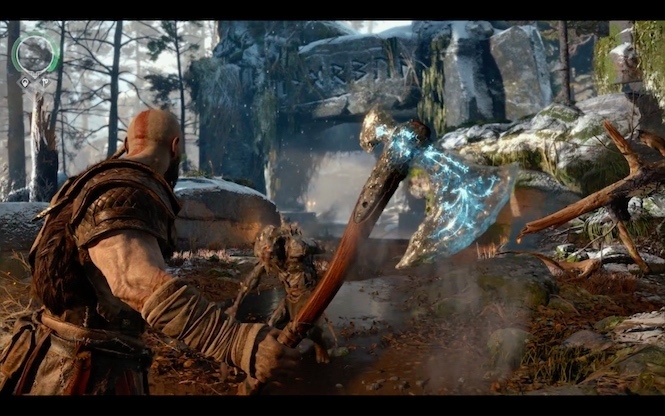 Gone are the signature Chainblades, Kratos now rolls with an axe. Fitting if you ask me. The puzzle elements of the series are retained with some clever ideas thrown into the mix in addition to the good old mirror placing, platform manipulation etc, which combined with changes to combat and equipment makes the game look kinda like Darksiders II. Story-wise it actually takes place after Kratos realized his revenge upon Gods of Olympus and since he crashed that party hard, he decided to move up north to Canada Viking land with his son. But at this point, you wouldn’t expect Kratos not to get himself into a horrible mess would you? Que him doing so and now he has another pantheon of Gods to eradicate. My love for everything Viking is well documented, so I’m happy they decided to switch things up, but hopefully the core of the story, that is the hubris of man, is still the same. Kratos has abandoned the warm Mediterranean and has travel to the North seeking purpose and peace. God of War 4 is a stunning and innovative sequel to the famous action game franchise. He also has to teach his son everything a young demigod needs to know.